Do you want to serve local youth? The rewards of this intergenerational movement go both ways: age 50+ people inspire and educate younger people and younger people inspire and educate people age 50+. 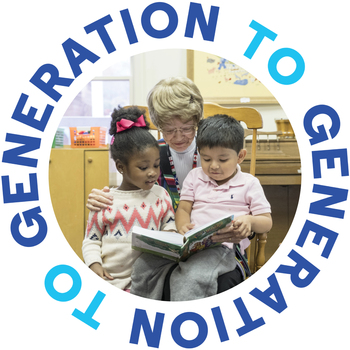 Nonprofit organizations serving kids, young adults, and underserved communities apply to join the Gen2Gen movement and are committed to engaging adults 50+ as they bring the skills, experience, and enthusiasm needed for a wide variety of roles, ranging from mentoring to capacity building to staff support. Gen2Gen is a nationwide campaign powered by Encore.org, the originating organization for Encore Fellows and fellowships. As the host of the local Puget Sound-area chapter, 501 Commons will work with older adults with a passion for helping young people and fostering positive intergenerational relationships and connect them with an organization that is interested in their services. Host organizations will benefit from an addition of human talent in an environment where resources are often scarce. Young people who too often lack caring adults in their lives can receive the support necessary to address challenging circumstances that hold them back. Adults 50+ who are retired, considering retirement, or can share their and talents find reinvigoration through the benefits of an intergenerational relationship, and with a sense of purpose by lending their hearts and minds to some of our community’s most vulnerable. Contact Jim McGinley to learn how to get involved in Generation to Generation-Seattle. We also have an opening for a Team Lead to take control of the program moving forward.